We pay Real Cash in Your Hands in less than 5 minutes ! HIGHEST CASH FOR GOLD PAYOUTS, PERIOD !!! Get more cash for gold ! We pay the highest payouts. Don’t take our word for it. Come to us last and see for yourself ! Selling gold in Chula Vista is easy. If you are looking for Cash for Gold in zip codes 91910 and 91911 you have come to the right place. Get more cash for your gold in Chula Vista CA ! Highest Cash for Gold payouts in Chula Vista PERIOD ! You don’t believe us? That’s ok. Feel free to check out all other places before coming to us. 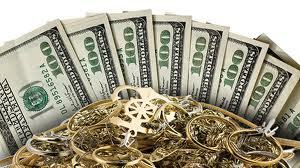 You will see that we do provide the highest cash for gold payouts in Chula Vista CA 91910 & 91911. No nonsense (get top dollar for your gold and jewelry), highest payouts. You get paid CASH FOR GOLD on the spot ! Does anyone else provide CASH FOR GOLD CHULA VISTA? As far as we know everyone else pays you by check. That means you either have to deposit their check into your bank account and wait until it clears or you’d have to go to the bank and show ID and wait in line to get your cash (lots of extra time and hassle) or go to a check cashing place to cash your cash for gold check which means more hassle, waiting in line and paying another 1-3% of your money just to cash the check. That means you are wasting more of your valuable time waiting in bank lines and showing your ID to tellers and even having to pay a fee to the bank if you don’t have an account there (some banks won’t cash your check if you don’t have an account with them and will try to make you open a new account just to cash your check and get you with all kinds of fees). You also waste your valuable money paying check cashing fees. Are you looking for Cash for Gold Chula Vista? How about Cash for Gold National City? Yes, we got you covered. We pay cash for gold in National City too. Cash for Gold Imperial Beach? Sure, we provide cash for gold in Imperial Beach too. If you are looking for one of the best place to sell gold in Chula Vista CA 91910 then give us a try. Call us today at (619)270-1132 or just stop in or click here to contact us. It seems like wherever you go these days, there’s a business nearby offering cash for gold, from jewelry shops to mall kiosks. Actually, you don’t even have to leave the house: Plenty of mail-in services are ready to buy your unused jewelry or bullion coins. But before handing over that old necklace, understand that some businesses may offer you quite a bit more than others. Though the global price for melted-down gold is published daily and easy to find (see Understanding Gold Quote Prices), sellers are only going to give you a portion of that sum. The more you know about how the buy-back industry works, the better your chances will be of getting a favorable deal. First of all, try to determine the type of buyer for your piece. True, most items are valued for the amount of gold they contain (the melt-down value). But jewelry from high-end retailers like Tiffany & Co. or noted designers often has a collectible value above and beyond its scrap price, especially if it’s an old piece. If you’re in doubt as to whether your item has any special cachet, it doesn’t hurt to get an appraisal from a reputable jeweler or a dealer in estate or vintage jewelry. The same goes for old coins: That gold dollar found in the back of Dad’s closet may well fetch more than its face value, as a numismatist or coin collector will tell you. Getting an expert opinion can also act an insurance policy of sorts. Should you decide to mail your gold to a company later on, and the piece gets lost en route, that appraisal acts as an indication of the item’s worth. If you do end up selling, you can save a lot of time and aggravation by doing some basic research on potential buyers. If you’re planning to visit a local shop, pawnbroker or kiosk, first make sure it has the relevant licenses for a business purchasing metals in your state. The lack of them doesn’t prove the place engages in deceptive valuing or predatory tactics, but it doesn’t inspire confidence, either. It’s also a good idea to do a quick search of the place with the Better Business Bureau. Keep in mind, though, that the rating system on the BBB site offers higher letter grades to companies that have been in business longer and have a lower volume of complaints. As an added precaution, you can also look for shops that are members of the Jewelers Vigilance Committee, an industry group that promotes ethical practices. The next step is figuring out how much gold is actually in your jewelry. A humble kitchen scale will give you a ballpark approximation. Metal dealers use a special unit of measurement known as a “troy ounce.” At 31.1 grams per ounce, troy ounces are actually slightly heavier than the standard ounces your scale will provide (28 grams per ounce). The weight doesn’t reflect the exact amount of gold, however. The gold in most jewelry is actually an alloy (a mix of the yellow stuff and more base metals). Given gold’s relative softness, a piece with no “filler” metals within it could damage quite easily. The “karat” rating indicates how pure the gold really is. A 24-karat item is 100% gold, while a 12-karat piece is only half gold. So, for example, a 5-gram ring made of 14-karat gold only contains 2.92 grams of actual gold (5 grams x 14 ÷ 24). The good news is that jewelry often comes engraved with the karat grade already – 14K and 18K are the most common in better-quality pieces – though you may need a loupe or magnifying glass to spot it. If not, a jeweler can perform a test to give a pretty good approximation. You can also go online and find testing kits costing between $20 and $50. Once you’ve figured out how much precious metal is in your item, it’s pretty easy to look up the world spot price for gold using online resources like Kitco and Goldprice. Chart. The global spot price of gold since 2000. Granted, the price you’ll find on these sites is not what you’ll get from a buyer, who has to factor expenses and profit margin into his or her bid. The more competitive ones will usually offer around 70% to 80% of gold’s current market value for jewelry. Gold bars and coins usually reap a bigger payday – often more than 90% of their melt value. Even if you visit a buyer and get what sounds like a reasonable offer, it doesn’t hurt to shop around a bit. You can even play one buyer against the other, seeing if they’ll match or beat each other’s quotes. Lots of businesses are interested in buying gold, but the prices they offer tend to be all over the map. Consequently, you’ll typically snag a better deal if you walk in with a good understanding of how a piece is valued, what gold is going for – and how competitive the market is. What’s your gold object worth? To a large extent, whatever someone is willing to pay for it.